Coota Park Blue-E has been evolving and scientifically improving its genetics over the past 20 years. The significant investment in the Blue-E product has culminated in an independent evaluation across 4 key measurables. Blue-E steers marbled on par with Angus Brand steers, fulfilling all meat quality requirements to ensure the quality and consistency in consumers eating experience. 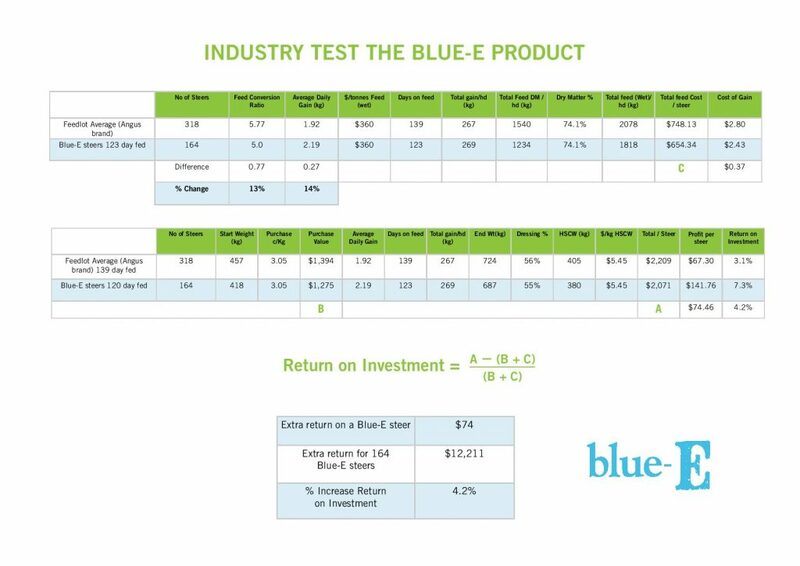 Blue-E steers had a 58% increased return on investment. Blue-E steers were $74 per head more profitable. Methane production is directly related to feed intake; hence we have reduced methane production by 13% for the same level of production. Blue-E steers were younger hence less days alive as well.